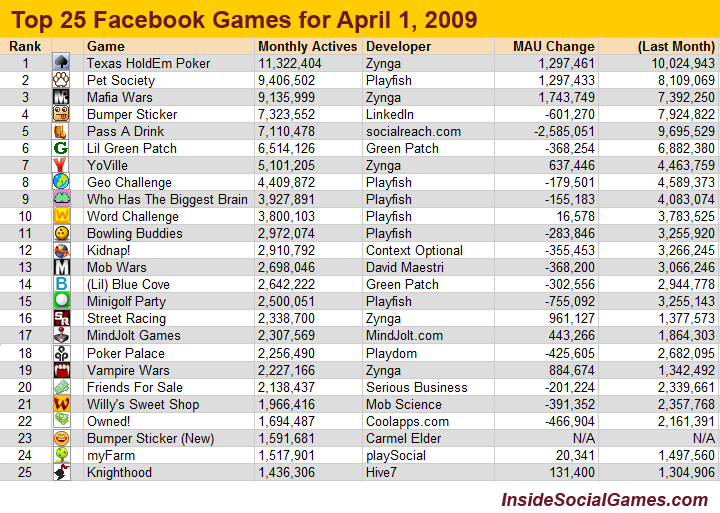 AppData and InsideSocialGames track the most popular games on Facebook and MySpace on a rolling monthly basis. The chart (embedded below) makes an interesting read. 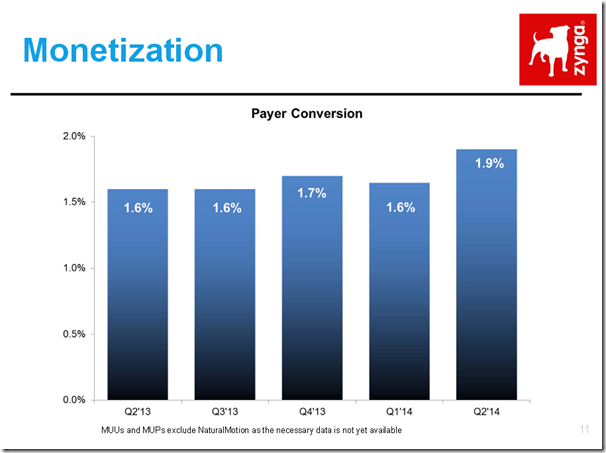 Zynga has three titles in the top 10, Playfish has 4, making these two companies clearly dominant in their space. Gareth Davies, chief of games at Facebook, commented at GDC that as many people play Texas HoldEm Poker as play World of Warcraft, although I doubt Bobby Kotick is quaking in his boots at this threat yet given the wildly different revenue models. But there are some big numbers here. With 4 millon unique gamers for the top 10 players, that’s an attractive market to advertisers, and as the developers offer more compelling games, these numbers are likely to grow.